The bauble earned for the Baltimore Ravens winning Super Bowl XLVII. So to conclude a reunion week of the team that vanquished the San Francisco 49ers in the Super Bowl last February, the Baltimore Ravens were on tour again. First a trip to the White House where they met with President Obama where they presented him with a ceremonial jersey. Then to have the week culminate in the presentation of their Super Bowl rings in a gala on Friday night. Ray Lewis and most of the players who have moved on from the organization, were back to bask in the evening commemorating their achievement sitting atop the NFL for 2012. The first view leaked on the day by CBS Sports didn’t do the ring justice. This professional shot from the Ravens organization shows off the quality of the ring and downplays it’s size. The oval design of the top distinguishes it from the rectangular face of the first championship ring. 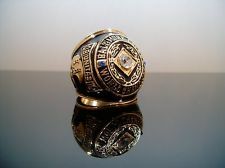 This ring needed to say more where the typical design of a first ring is normally the team logo and a series of diamonds. With the oval face we see the off centered dual Super Bowl trophies layered beneath the logo amid a bed of diamonds. The best aspect of the ring is it was made in white gold which gives it a clean and sleek look. Much like the Super Bowl trophy itself, it has a steely look to it. One that reflects the clinical moves that an organization makes with awarding a Ray Rice with a $35 million contract before the season, yet make Joe Flacco sweat it out in a contract year. Another that comes to mind is the steely resolve Flacco exhibited in his road performances in Denver and New England. Where he took the measure of the two best quarterbacks whose status kept his in question when you think of the AFC’s elite quarterbacks. The ring will forever reflect the steely grit a team showcased once their leader in Ray Lewis announced he would retire after the 2012 postseason. Finally, it reflects the steely nerves a tired Raven defense had to display in the greatest goal line stand in Super Bowl history. Greater than the 49er stand in Super Bowl XVI?? Absolutely!! This one won the Super Bowl with seconds left where the one the 49ers put on was in the third quarter. By doing so the Baltimore Ravens brought the city its fifth NFL championship. Just as Johnny Unitas used to attend Ravens games, those old titles belong to this city, not with the original franchise that sits in Indianapolis. 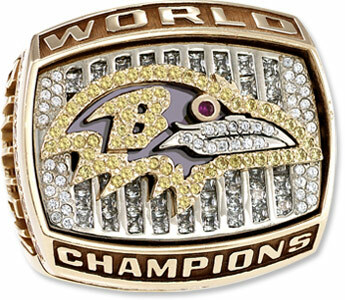 The championship team that put the city of Baltimore on the map forever was the one that won this ring right here. Arguably the most influential NFL Championship ever played was the 1958 epic where the Colts beat the New York Giants in overtime 23-17. In fact it’s moniker has been “The Greatest Game Ever Played”. Although there had been winning drives in championship games before, Johnny Unitas came of age as a quarterback during his. With the Colts down 17-14, where they hadn’t scored since the second quarter, Unitas took to the air. Through his will and determination he directed Baltimore on a long drive to tie the score on a Steve Myra kick. Forcing the first “sudden death” overtime in NFL playoff history. You have to remember we were just two years removed from the New York Giants having won the 1956 championship with the league’s best defense 47-7 over the Chicago Bears. This was to be their era and the New York media was there en masse to cover their second championship triumph in 3 years. Yet as Unitas to Raymond Berry began to dominate the overtime period, media attention switched to; “Who is this skinny quarterback riddling the NFL’s best defense?” Unitas was inventing the “two minute quarterback” with his every move from quick passes, to his deft play calling. He had total command of the game and performed with glacial calm. Unitas famous drive showcased his flair for the dramatic as well as his play calling taking advantage of what the Giants defense would think he would do. Once inside the 10 yard line where the Colts could kick the winning field goal, Unitas threw an out to TE Jim Mutscheller to get down to the 1. The Giants were out of position as they were geared to stop the run. Just as the Giants braced themselves for the customary fullback leading the halfback into the line, Unitas called the opposite. Alan Ameche crashed into the endzone behind a Lenny Moore block through a gaping hole. The game was over with the city of Balitmore champions of the football world and Johnny Unitas was on the map forever. On the heels of the excitement of this game, Lamar Hunt formed the principles of what would become the American Football League. Football became the new American obsession after this game and began to rival baseball as the #1 sport. Watch that was awarded to the 1959 NFL Champion Colts. Unsure if this went to the coaches and owners or the complete story. In a rematch that concluded the NFL’s “Golden Age” of the fabulous 1950s, the New York Giants again faced the Colts for the league championship. This time the Colts would be at home. A city that famous Baltimore writer John Steadman once said “Baltimore was known for being the train stop between Washington DC and New York.” Tapping into the city’s inferiority complex. The Colts and principally Johnny Unitas gave the city a legitimacy on a nationwide scale that it hadn’t experienced before. Yet here they were again facing the evil empire that was New York’s Football Giants coming to take back the crown. However in a dominating performance, Unitas and the Colts throttled the Giants 31-16 thanks to a 24 point 4th quarter. They were down 9-7 when the highest scoring team in football scored with a Johnny Unitas 4 yard scamper around end. Then Unitas found Jerry Richardson for a 12 yard touchdown to push the lead to 21-9. Then Johnny Sample, yes the same one that played with the Jets and intercepted Unitas twice in Super Bowl III, returned a Charlie Conerly pass 42 yards to push the Colts to an insurmountable 28-9 lead with half a quarter to go. Richardson would go on to own the Carolina Panthers many years later. Gino Marchetti and Eugene “Big Daddy” Lipscomb and the Colt defense came up with timely plays to hold the Giants to 3 first half field goals by Pat Summerall. In Tom Landry’s last game as the defensive coach (defensive coordinator) of the Giants, the Colts were held to only 280 yards of total offense to the Giants 323. The NFL Championship ring of the 1959 Baltimore Colts. The Colts winning back to back championships made them a dynasty and one of the greatest champions in NFL history. Not bad for a team that had come into the league from a defunct All American Football Conference with the San Francisco 49ers and Cleveland Browns in 1950. In 10 years, these 3 teams from the inferior league won half the decades NFL championships. Winning the first in 1950, the last in 1959, and the Browns playing for 3 more championships. Yet it was the team from Baltimore that ushered football into the modern age as the 1960s dawned. The ring commissioned for winning Super Bowl V.
The last Colts team that won Super Bowl V for Baltimore was one that suffered from the fallout from having lost Super Bowl III. The turbulent 1960s were over and the merger between the NFL and AFL happened with a championship between the two leagues starting after the 1966 season. The Super Bowl III loss to the New York Jets legitimized the AFL and the merger but the Colts suffered from the fallout that lasted the rest of their lives VIDEO. The Colts were led by an aged Johnny Unitas who was getting by on guile. He now had All Pro Tight End and fellow Hall of Famer John Mackey on offense along with Roy Jefferson and Eddie Hinton at the wide outs. Gone were Raymond Berry, Tom Matte and familiar names with the Colts. They were transitioning from the team that won for most of the decade of the 1960s but couldn’t overcome the Green Bay Packers in the Western Conference. Now they found themselves in the first year of interleague play under the AFC along with former AFL teams and the Browns and Pittsburgh Steelers who were paid $3 million to move from the NFL to the AFC. Each conference now had 13 teams. After posting an 11-2-1 record, they bested the Oakland Raiders in the first ever AFC Championship Game 27-17 to make their way to play for the Vince Lombardi Trophy in the Orange Bowl. Rookie Jim O’Brien kicked a last second field goal to win Super Bowl V 16-13 over the Dallas Cowboys. Unitas who would be gone from the Colts in less than two years was knocked from the game in the second quarter. The Colts put themselves in position for the winning field goal when Mike Curtis intercepted a Craig Morton pass with seconds left to put the ball on the Dallas 28 with seconds left. 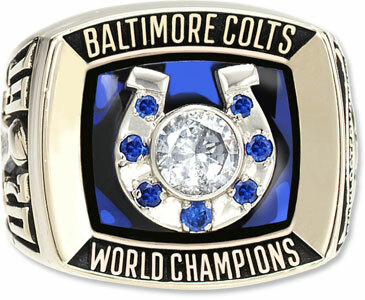 This ring was the first for the city of Baltimore with it’s new team, the Ravens. Art Modell had moved the former Cleveland Browns (ironically) to town in 1996. Free agency had dawned after the 1993 season and teams were struggling to put offenses together. Yet the trend became one where a suffocating defense through free agency could be built, and the Ravens built one of history’s finest. After drafting Ray Lewis, Jamie Sharper, Duane Starks, and Chris McAlister, they filled in the blanks with free agents Tony Siragusa, Robert Bailey, Corey Harris, and future Hall of Famer Rod Woodson to form a defense the league hadn’t seen since the 1991 Philadelphia Eagles. 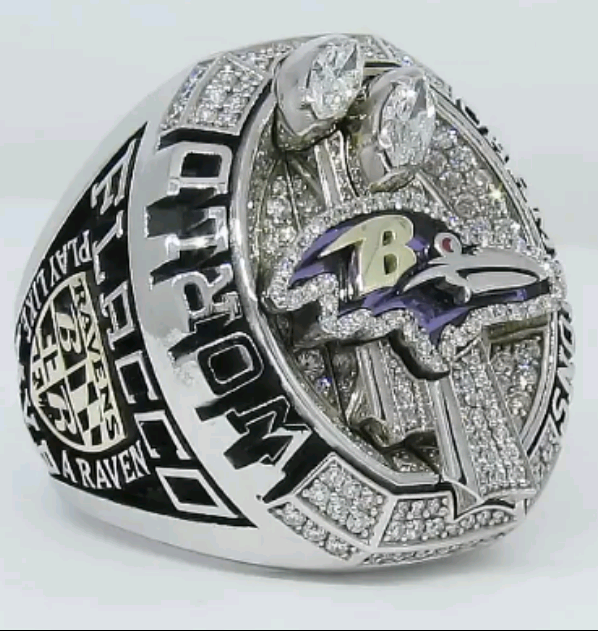 The first ring won by the Baltimore Ravens after Super Bowl XXXV. The Ravens first ever foray into the NFL playoffs came after a regular season where they had given up a league record 165 points for the season. The old record had been 187 points allowed by the 1986 Chicago Bears. Although the Ravens defense was ranked #2 on the year, they yielded the fewest points, highlighted by four shutouts. They had become the first team since the ’85 Bears to record back to back shutouts during any NFL season. How dominating were they?? If you include the 3 points allowed to Denver in the wildcard 21-3 win, the 10 points given up to defending AFC Champion Tennessee Titans in a 24-10 win, and the 6 points given up in the AFC Championship win over Oakland 16-6, in 19 games they still gave up less points than the Bears old 16 game record. (184-187 points) Yikes!! Couple that with the fact the Giants only touchdown in Super Bowl XXXV had been a kick return by Ron Dixon, they would have ended the game with a fifth shutout which would have been a Super Bowl first. Ray Lewis was the 2000 NFL Defensive Player of the Year and MVP of the Super Bowl as well. Trent Dilfer, Jamal Lewis, and free agent acquisition Hall of Fame Tight End Shannon Sharpe powered an efficient offense. This was one of the greatest defensive champions of all time. There you have it… Baltimore’s rich NFL tradition punctuated by championships from different eras. Ironically there is a lot more to the Cleveland Baltimore rivalry than meets the eye. 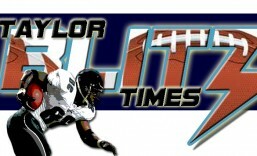 They have been joined from the hip since their 1950 NFL inception and the present day franchise started in Cleveland. Yet here they sit as champions of the football world for another year. How will they fare in 2013?? Go read our previews. This entry was posted in Historic Writings and tagged Baltimore Colts, Baltimore Ravens, Baltimore sports history, football, Joe Flacco, Johnny Unitas, NFL, NFL History, Ravens Super Bowl Ring, Ray Lewis, sports. Bookmark the permalink.